Todd’s practice at Carlson Caspers focuses on helping clients navigate disputes with their competitors. While Todd handles all types of commercial disputes, his practice is particularly focused on patent litigation, inter partes review (IPR) proceedings, IP licensing/monetization, and counseling. Leveraging his degree in biochemistry, Todd has represented generic pharmaceutical companies challenging the patent rights of their competitors through ANDA litigation for well over a decade. For example, Todd helped Teva Pharmaceuticals defeat several patents directed to Purdue’s multibillion-dollar OxyContin® product, and maintain those verdicts on appeal. Other representative ANDA matters Todd has handled include Millenium v Teva: (Velcade® anti-cancer formulation), Merck Sharpe & Dohme B.V. v. Dr. Reddy’s Laboratories, Inc. (Nuvaring® contraceptive), and Abbott Laboratories v. Teva Pharmaceuticals (niacin/simvastatin). Todd also served as lead counsel for a nutraceutical client asserting its patent in a multi-district dispute, including the defense of that patent in IPR proceedings before the USPTO. Todd successfully defended the validity a number of instituted claims, and went on to secure a favorable settlement for his client. In addition to his life sciences practice, Todd has litigated disputes in many other disciplines, including the electrical, chemical, and mechanical arts. For example, in M-I Drilling Fluids UK Ltd. v. Dynamic Air Inc., Todd secured invalidity judgments on 114 of 117 claims in IPR proceedings challenging five Schlumberger patents directed to the pneumatic conveyance of drill cuttings generated by offshore drilling operations. In related proceedings in federal court, Todd helped secure an award of over $1.3 million in attorney fees under 35 U.S.C. § 285 and dismissal against another party based on a lack of personal jurisdiction. Todd’s practice extends beyond patent litigation, including Lanham Act, unfair competition, and trademark and trade dress disputes. He also handles general commercial disputes. In addition to contested proceedings, Todd counsels clients in the negotiation of intellectual property licenses and joint development agreements, as well as monetization of patent portfolios. Todd has been named a “Super Lawyer” in patent litigation each year from 2013-2017, and he was previously selected as a “Rising Star” each year from 2008–2012. Todd represents military veterans through the Veteran’s Consortium Pro Bono Program, including the successful appeal of an order denying vocational rehabilitation benefits on behalf of a disabled veteran. 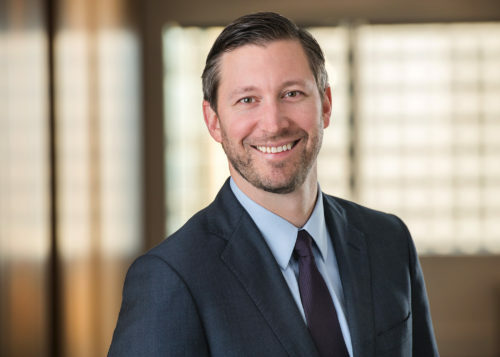 Todd has also taught Intellectual Property Moot Court at the University of Minnesota Law School, and represented clients in employment litigation through the Federal Bar Association’s Pro Se Project.